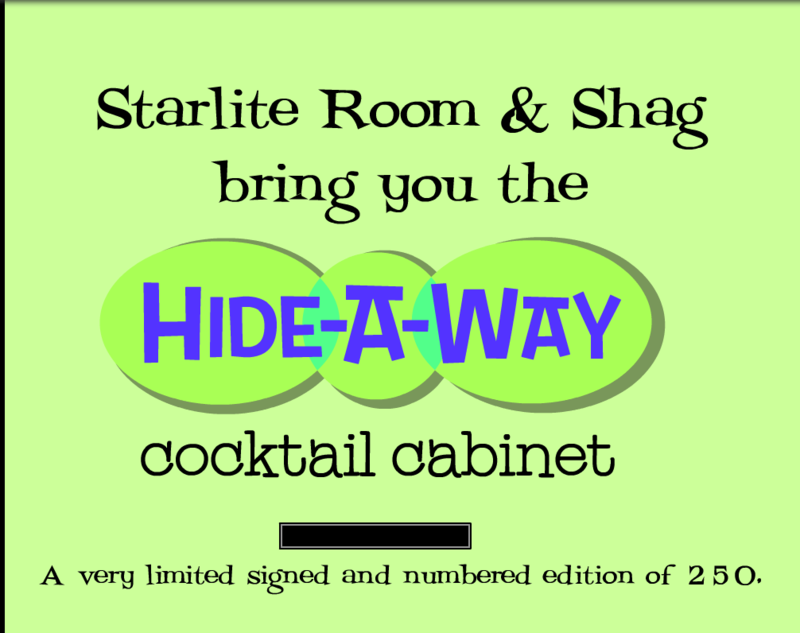 The Hide-A-Way Cocktail Cabinet Release Party was held, with Shag, at the Starlite Room in Long Beach, California on March 20th 2004 from 7pm to 10pm. 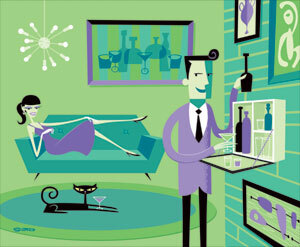 Josh Agle worked with the Starlite Room on their first collaboration and entry into manufacturing. 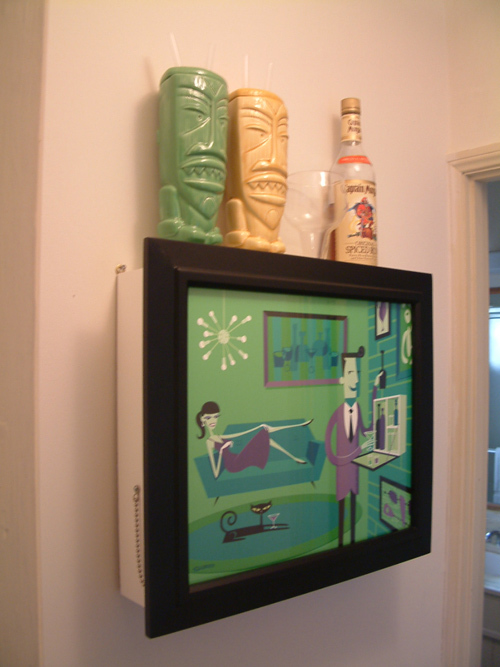 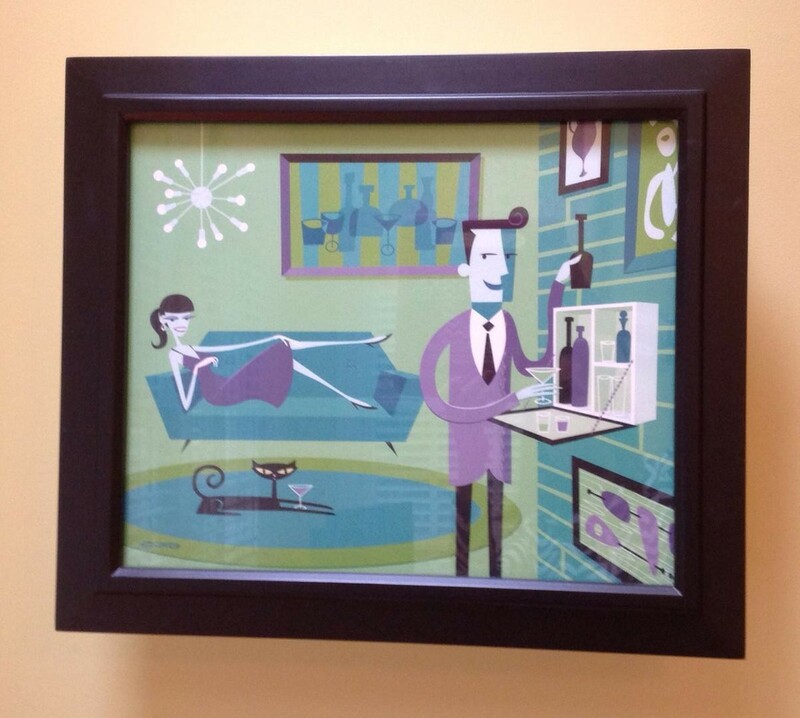 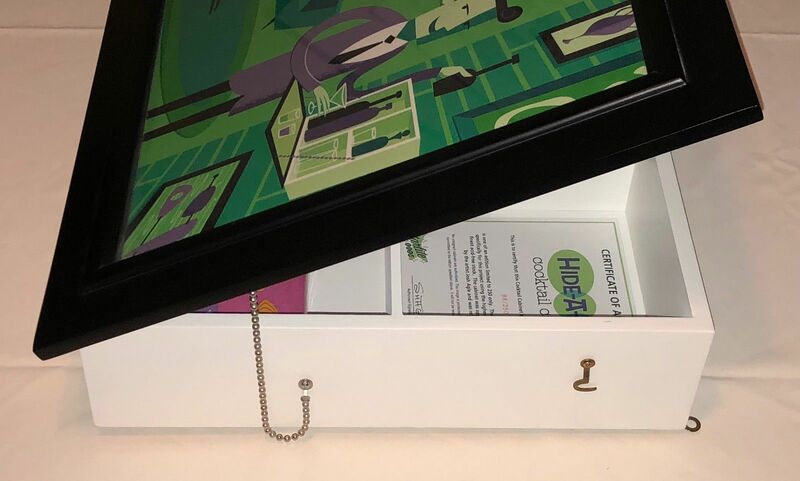 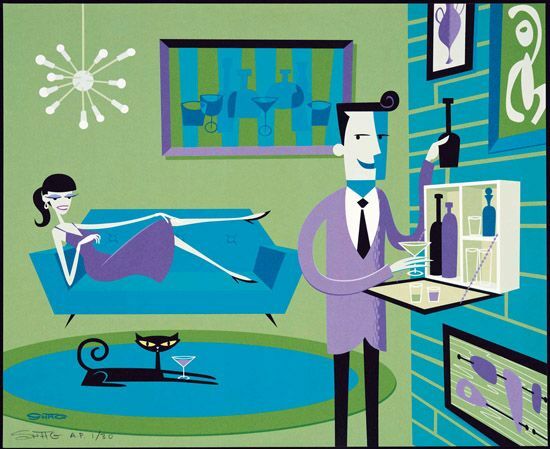 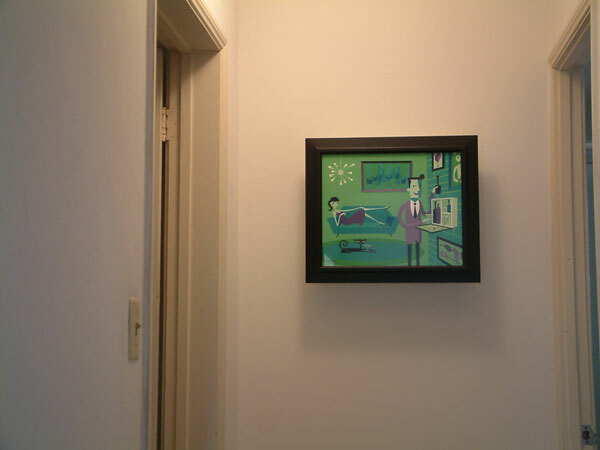 The Hide-A-Way Cocktail Cabinet is a wall-mounted foldaway bar fronted by a Josh Agle serigraph print. 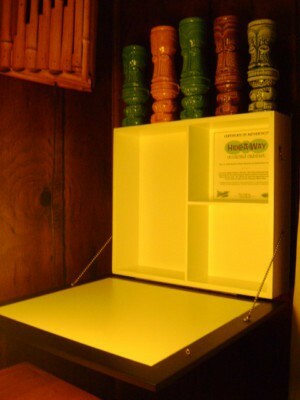 The limited and numbered edition of 250 cabinets retailed for $300 USD each. 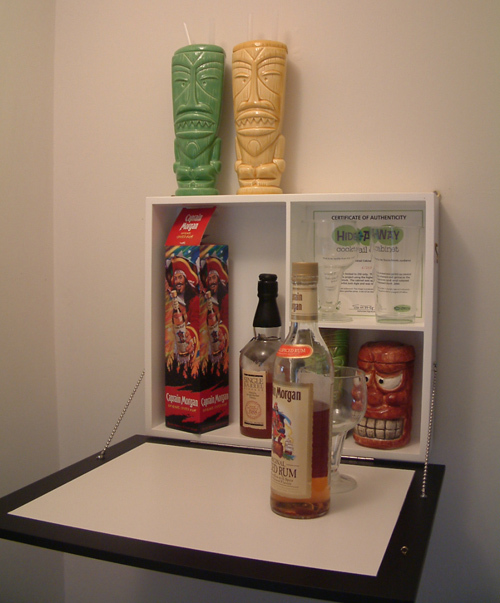 The cabinet is 20.5” wide, 17.5” tall and 5” deep, and is made with high-grade plywood, primed and coated in several coats of white lacquer. 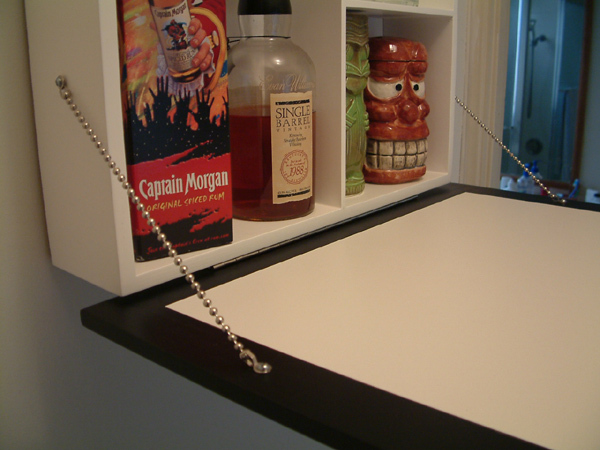 The bar has compartments for bottles and glasses, and a bottom hinged drop-down door retained by two stainless-steel chains to become a bar top for mixing cocktails. 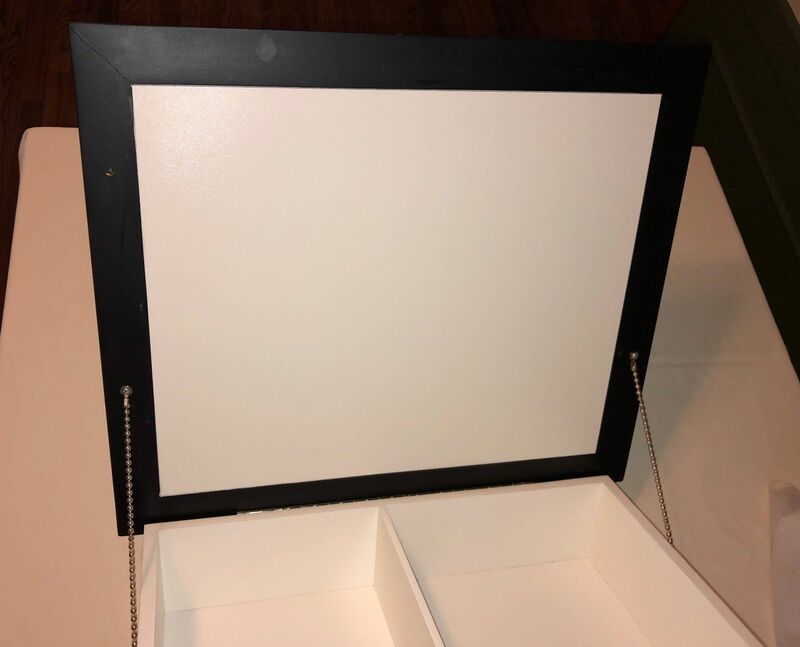 The cabinet can be recessed into a wall or hung from the two mounting rings. 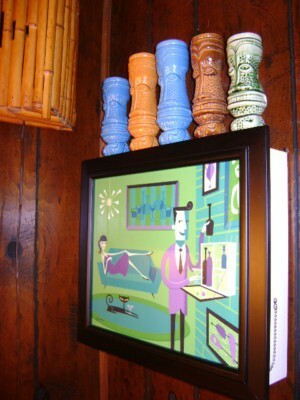 With the limited-edition Shag serigraph print, the closed cabinet becomes an exquisite piece of art. 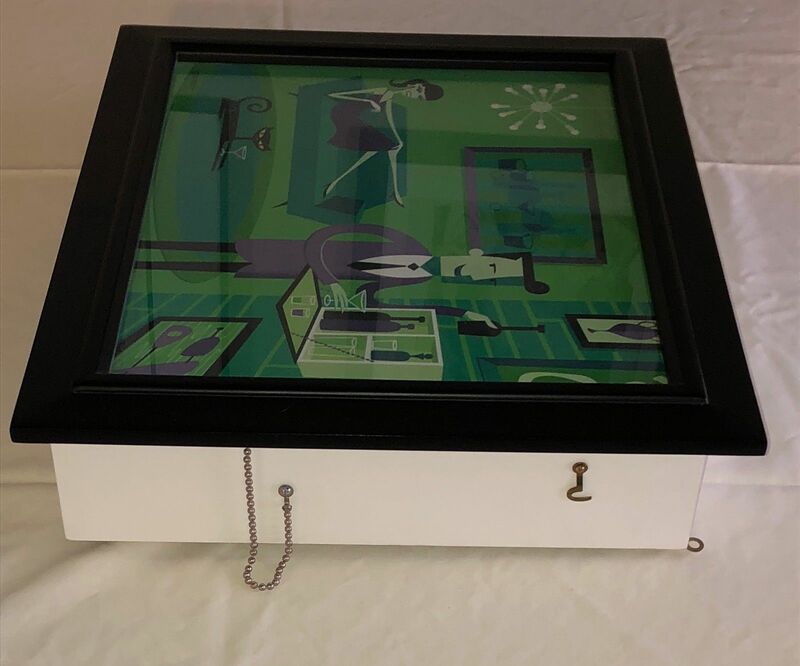 The frame molding is made from solid poplar coated with a satin finish black lacquer. 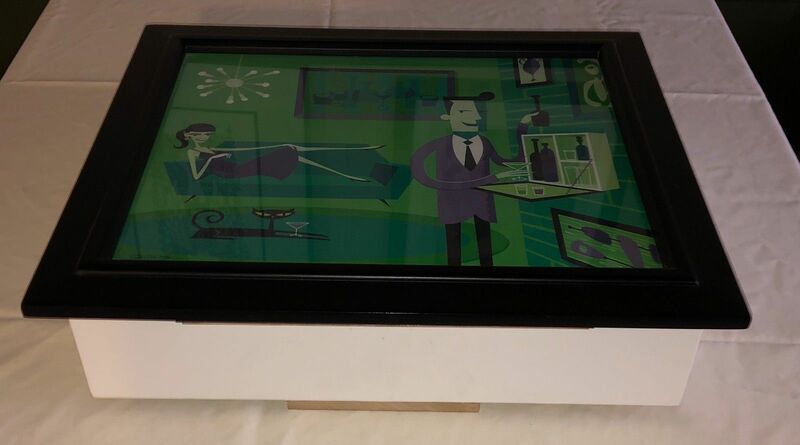 The print is protected behind glass and sealed from behind with silicon to protect it from liquid spills. 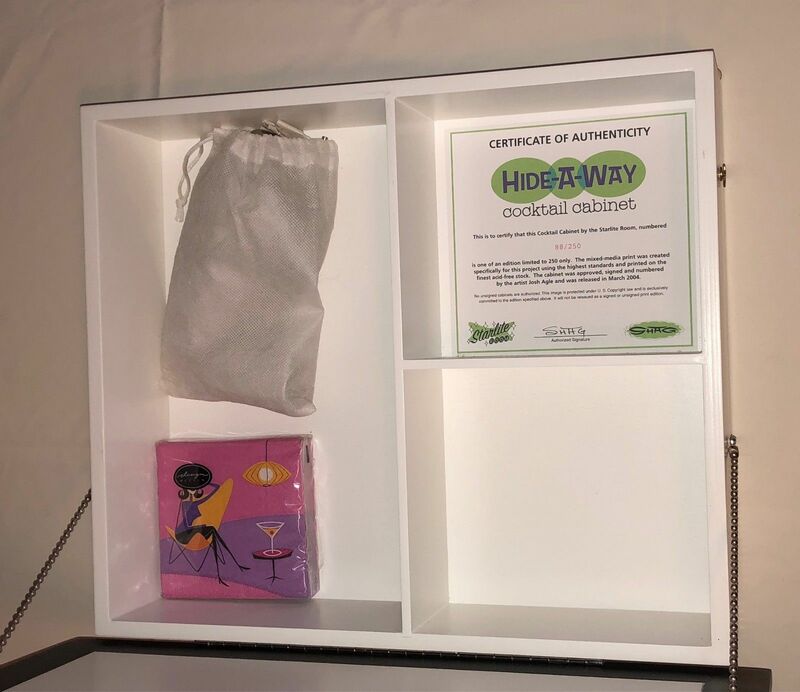 At the Hide-A-Way Cocktail Cabinet Release Party, attendees were limited to purchasing one per each without any pre-order possible. 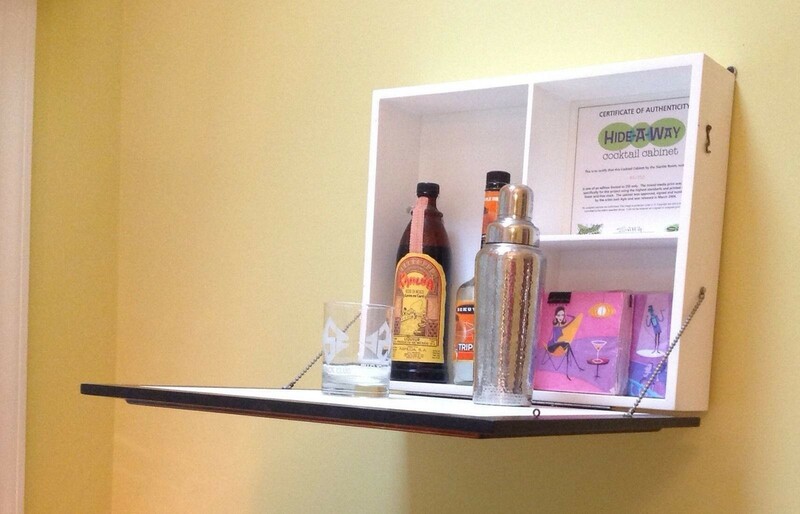 Any bars remaining after the event would be available first come, first served to those on a waiting list. 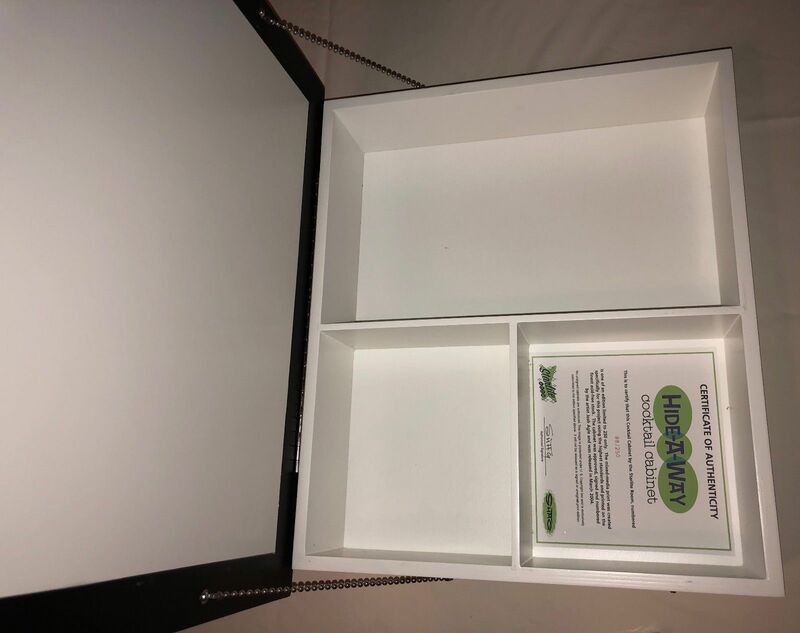 At 6pm, numbered wristbands were handed out to those queueing to guarantee a place in line with the event opening at 7pm. 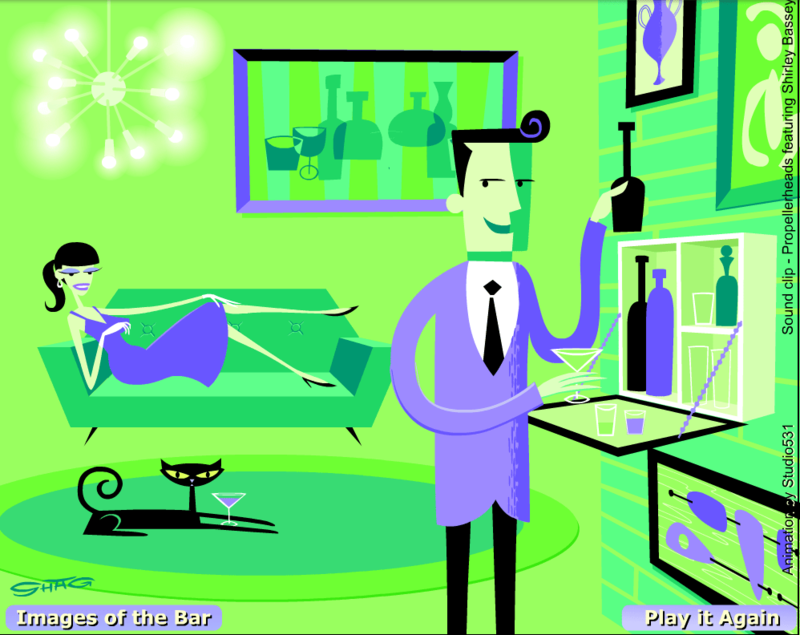 Only those with wristbands were permitted to purchase a bar. 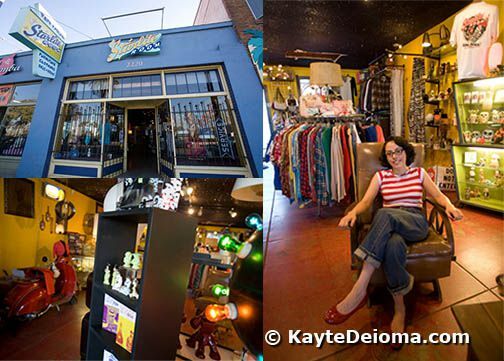 The Starlite Room is shown below left. 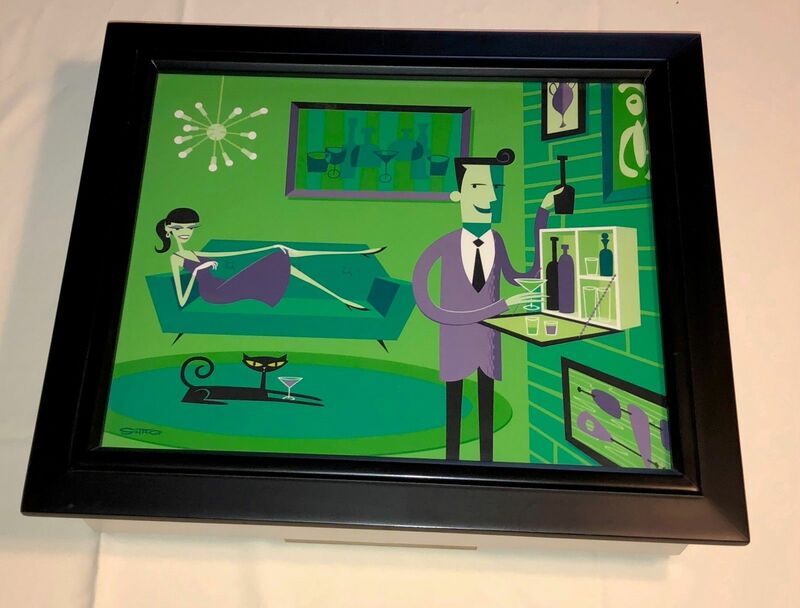 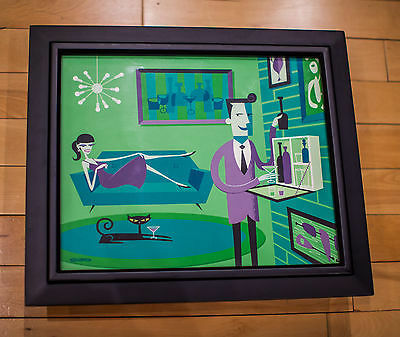 There were thirty artist proofs of The Hideaway serigraph print (17″ by 14″) produced and several have appeared at subsequent exhibitions such as The Complete Shag Print Collection in 2011 for $700 USD. 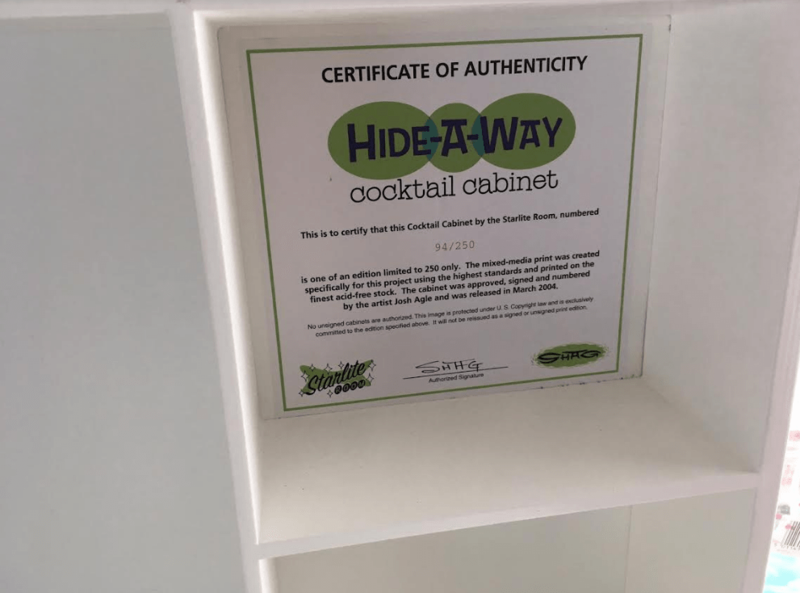 A video of the Hide-A-Way Cocktail Cabinet is still available showing how it works. 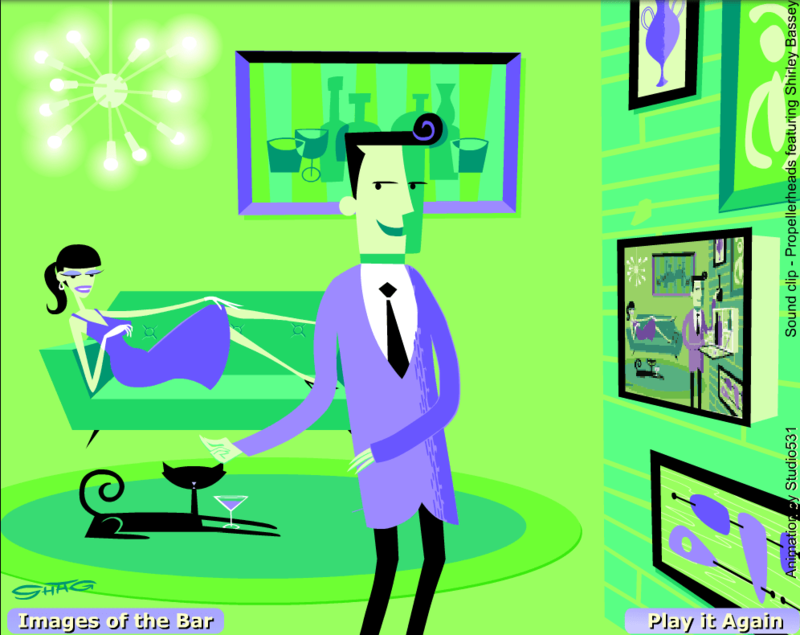 Note that the video link uses the Wayback Machine to show the 2004 Starlite Room website so will take a little while to load.